HUNTINGTON, W.Va. – Construction is underway on what will become the region’s newest residential treatment facility for women and their children. Marshall Health, in cooperation with the Huntington City Mission, began renovating a 15,000-square-foot building located on the northeast corner of 7th Avenue and 10th Street in Huntington next to the city mission. 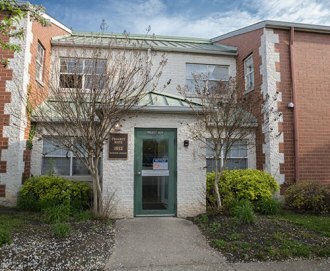 The building formerly known as “Project Hope” will become home to “Project Hope for Women and Children,” the latest Marshall Health initiative designed to provide a continuum of care for women suffering from substance use disorder and their children. Each of the 18 apartments will consist of two or three bedrooms, one bathroom, a living room and kitchenette. The program is funded through a grant from the West Virginia Department of Health and Human Resources. Some services, such as peer and residential supports and family therapy will be provided on site, but many of the services, including medication assisted treatment, will be delivered in outpatient locations, like PROACT, a health care collaborative announced in April 2018 that will act as a single-accessible service hub for addiction care and treatment. “It is with great joy that we enter into this partnership with Marshall Health. The opportunity to serve this vulnerable population of our community resonates with our calling and mission,” said Mitch Webb, executive director of the Huntington City Mission. Marshall Health is using Huntington-based businesses for the renovation project, including Edward Tucker Architects and Neighborgall Construction. Renovations on the Project Hope building are expected to be complete by October 2018. Photo: A 15,000-square-foot building located on the northeast corner of 7th Avenue and 10th Street in Huntington is being renovated for Project Hope for Women and Children.